The Admissions Office is only a phone call or an email away! The Master of Arts in Pastoral Studies is available 100% Online only. The Master of Arts (M.A.) in Pastoral Studies program is a professional degree program designed to prepare students to serve competently and effectively in contemporary ecclesial ministries and lay leadership, especially within parish settings. This includes religious education at all levels, catechetical leadership, and youth ministry. 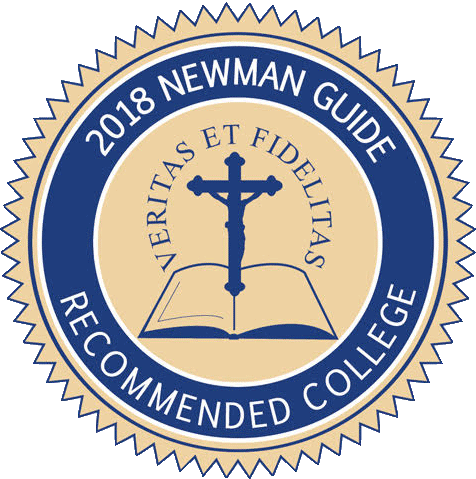 A primary objective of the program is to develop in students an understanding of ministry within the life and mission of the Roman Catholic Church. 100% of the program may be taken online. The student must take 36 semester hours of graduate course work and complete the degree requirements with a G.P.A. of 3.0 or better. All students must complete two co-requisite courses, four core courses, four courses within the chosen concentration and two electives. All students are required to take the Comprehensive Examination as their Summative Evaluation. * There is a six-year time limit from entry into the program for completion of the degree requirements. Holy Apostles offers the following areas of concentration for the Masters of Art in Pastoral Studies. This allows for each student to select an area of study that best fits their goals and passion. All concentrations are offered 100% Online. The Summative Evaluation is the capstone of the student’s academic work in the M.A. program at Holy Apostles College & Seminary. All candidates enrolled in an M.A. degree are required to complete a Summative Evaluation. Those enrolled in the M.A. in Pastoral Studies are required to take the Comprehensive Examination as their Summative Evaluation. (Students enrolled in the MAPS program prior to Fall 2017 may complete a thesis or special project in lieu of the Comprehensive Exam.) Full descriptions of the Summative Evaluation exercise are available on the Summative Evaluation page. Applicants for the M.A. program should follow the Graduate Admissions procedures. Applicants must submit similar materials for M.A. programs, however MAPS applicants must submit three (3) letters of recommendation instead of the normal two (2): one from an Academic/Mentor; one from a Priest/Religious; and one from a Ministry Supervisor/Counselor. For additional questions or information, please contact Dr. Elizabeth Rex, Director of Graduate Admissions, by email at erex@holyapostles.edu or by phone 860-632-3066. For a full listing of our faculty, please visit Faculty Listing. How long does it take to complete an MA in Pastoral Studies? The M.A. degree program may be completed in as little as 1.3 years.There is a 6 year time limit from entry into the program through completion of the degree requirements. Please see the Academic Catalog for additional information. Is the program flexible for working individuals? Our 100% online courses make the M.A. degree program flexible for working and busy individuals. Are Holy Apostles Faculty faithful to the Magisterium? All members of the faculty must be approved by the bishop in order to ensure fidelity to the magisterium.